USD declined significantly against JPY on Wednesday, refreshing local lows since September 20. The correction of 10-year US bonds, along with good Japanese macroeconomic statistics, contributed to the development of "bearish" dynamics. The demand for machine-building products in Japan rose by 6.8% MoM in August against 11% last month (and the forecast of –4.0%). YoY, the growth slowed from 13.9% to 12.6% (with the forecast of 1.6%). During the Asian session, the pair is trading in different directions, waiting for the appearance of new drivers at the market. The yen continues to be supported by statistics. The volume of bank lending in September rose by 2.3% YoY after rising by 2.2% last month. The index of domestic prices for corporate products added 0.3% MoM in September after zero dynamics in August. On the D1 chart, Bollinger Bands are gradually reversing downwards. The price range is expanding, however, it fails to catch the development of "bearish" dynamics at the moment. MACD is going down preserving a stable sell signal (being located under the signal line). 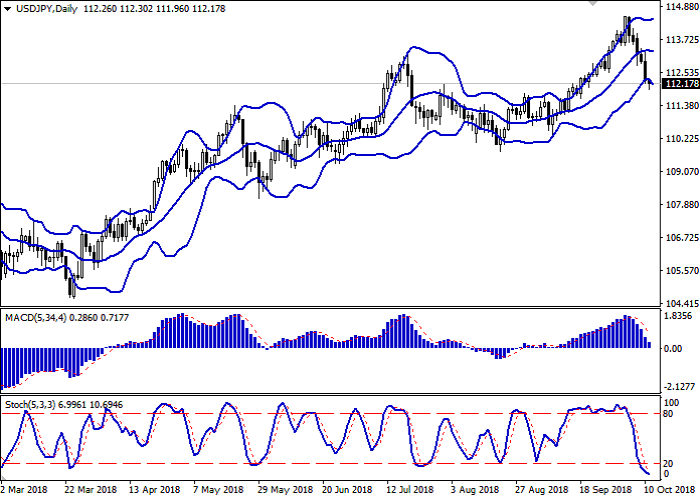 Stochastic is directed downwards but is located near the zero line which indicates the oversold status of the dollar in the short and ultra-short term. The current showings of the indicators do not contradict the further development of the “bearish” trend. Resistance levels: 112.43, 112.78, 113.00, 113.16. Support levels: 111.96, 111.47, 111.16, 110.90. 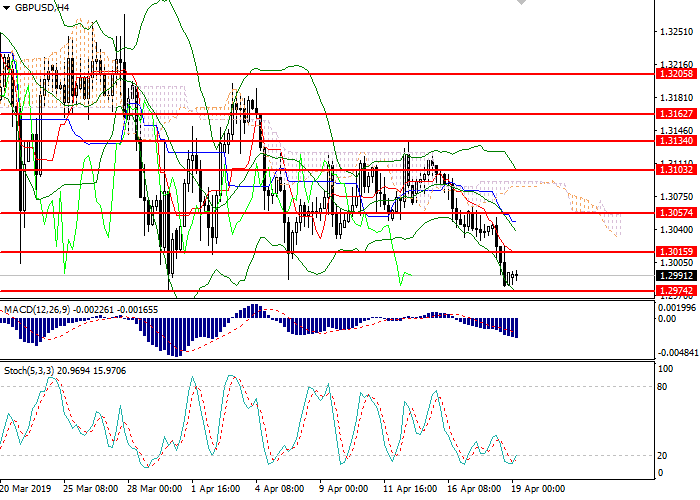 Long positions may be opened if the price moves away from 0.7793, as from support, followed by the breakout of 0.7834. Take profit — 113.16 or 113.50. Stop loss – 112.00. Implementation time: 2-3 days. 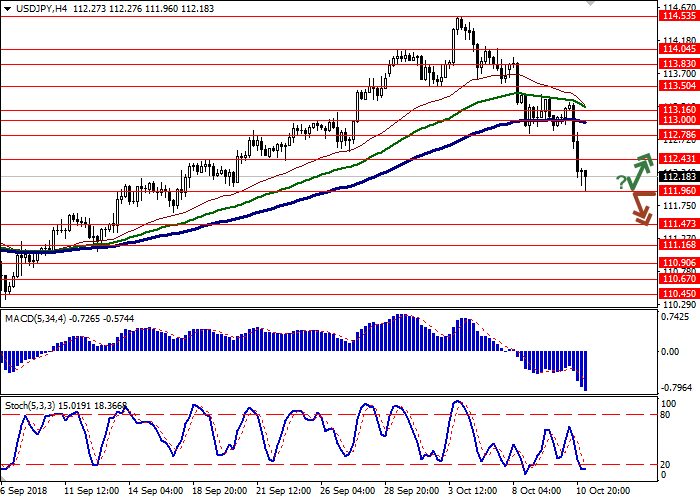 A confident breakdown of 111.96 may serve as a signal to further sales with the target at 111.16 or 110.90. Stop loss – 112.43. Implementation time: 2-3 days.